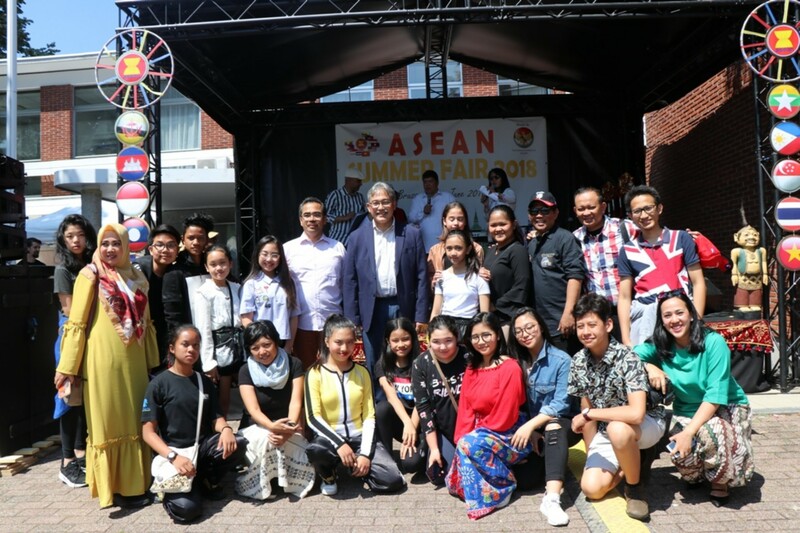 In order to promote the ASEAN Community in Belgium, the Indonesian Embassy in Brussels, which is currently the coordinator of the ASEAN Brussels Committee, took the initiative to hold the “ASEAN Summer Fair 2018” on 30th June 2018 at the Indonesian Embassy in Brussels. Sekolah Bogor Raya supported Indonesian traditional dance and music performances (Saman dance, Datun dance, Jaran Goyang, Tari Piring, Es Lilin and Bubuy Bulan) at this Summer Fair which was held for the first time this year. These dances became an opportunity for the Indonesian Embassy to promote various ethnic Indonesian dances. Public participation during the Fair was lively and diverse and colored together between diplomatic corps and ASEAN citizens in Brussels.